Note: On election night, I was hired as a stringer for the Associated Press. When I was not calling in votes, I took a tour of the ballot processing room with other Yolo County residents. I took this action shot of Salinas pointing towards the ballot-scanning machines and captured intrigued faces. Yolo County Clerk-Recorder/Assessor/Registrar of Voters Jesse Salinas gives visitors a tour of the election processing room on Election Night. Note: After obtaining a press pass to gain access to the infield, I positioned myself at the 200-meter mark and waited for the legendary O’Keeffe to round the curve. The out-of-focus girls in the background stress O’Keeffe’s lead, which she held onto to win the 3200-meter state championship title. Senior Fiona O’Keeffe paces the girls in the second lap of the 3200 meter race. Note: DHS hosted a track meet, so after my 1600 meter race, I pulled out my camera and started snapping away. I caught senior Joseena John in the air during the long jump, which makes the photo more interesting than before or after the jump. Senior Joseena John jumped 17 feet in the long jump at the fourth Delta League meet on April 20, 2016. She won the event. 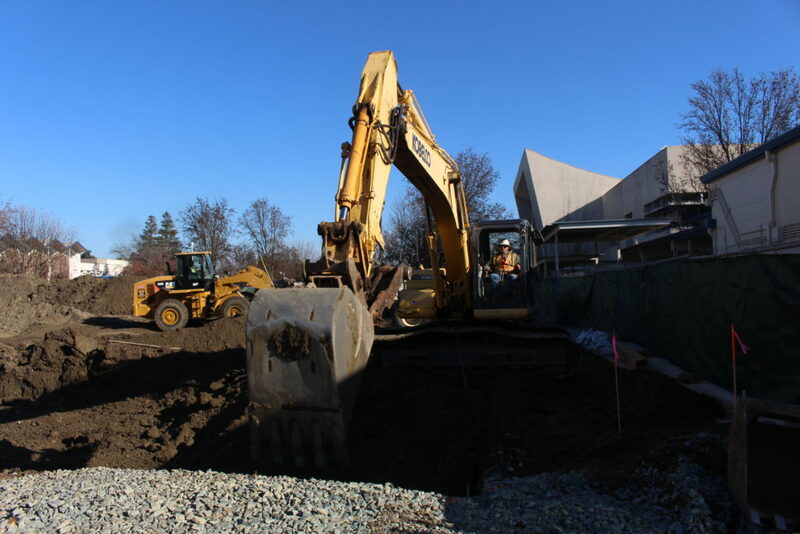 Note: As the construction beat reporter, I have special perks including behind-the-scenes access to the construction site, where no other students are allowed. I captured the backhoe in action, but had to brighten the picture to show just how big the hole the crane was digging was. 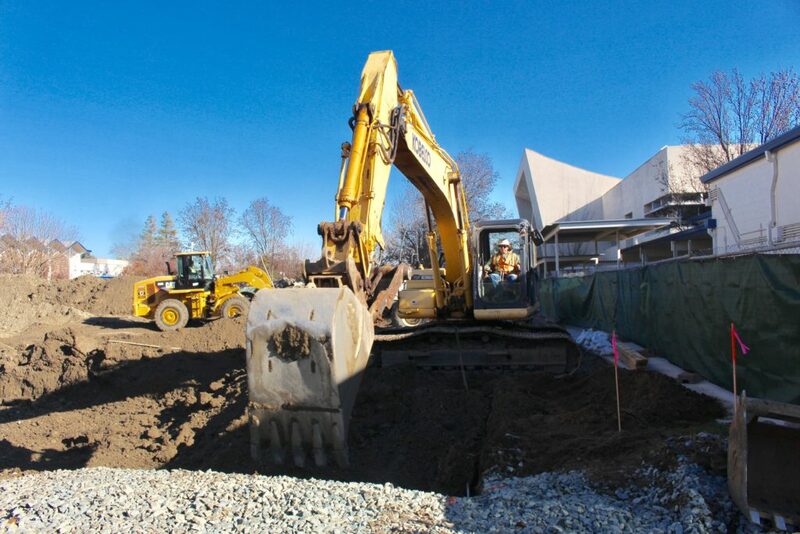 A backhoe digs deep dirt out of the ground and moves it to a pile on the right. Note: After noticing how dark the previous photo turned out, I adjusted my settings to allow more light into the shot. I framed the photo with the leafless trees in the background to show the season. And again, I documented the construction as it was happening for my peers to see. 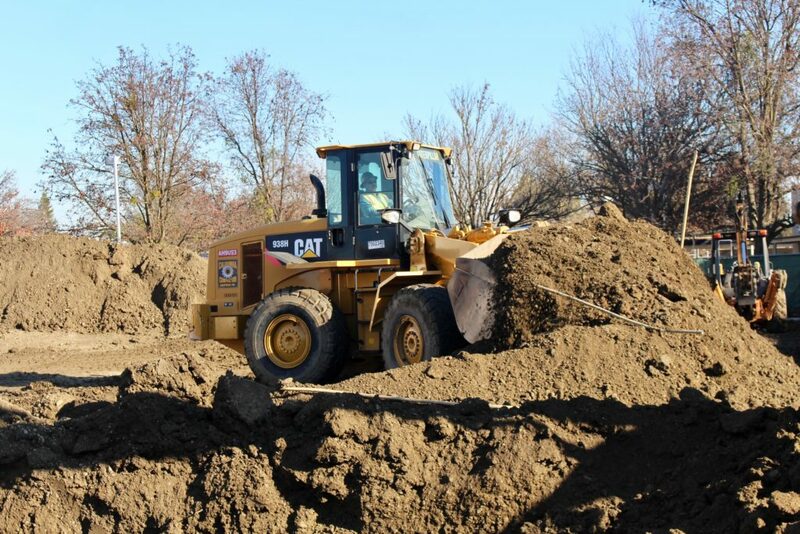 A bulldozer moves dirt across the pad to be tested and later compacted back into the ground. Note: As the ball flew through the air, everyone’s attention followed it. All players were ready to move if the basketball did not swoosh through the hoop, and tensions were high as Davis fought to maintain the lead. This picture shows it all, including the scoreboard near the back left corner. Senior Kevin Austin shoots a free throw to help the Devils maintain a comfortable lead in the fourth quarter. DHS beat Franklin 75-67. 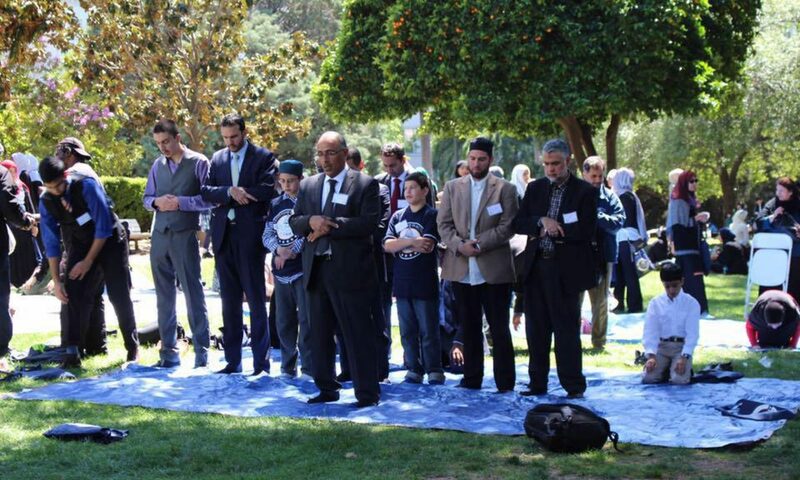 Note: One of the keynote speakers, Haroon Manjlai, started off the morning talking about what it means to be a Muslim in the 21st century. I played with the aperture settings on my camera until I got the depth of field just right, focusing on Manjlai and blurring out the background. 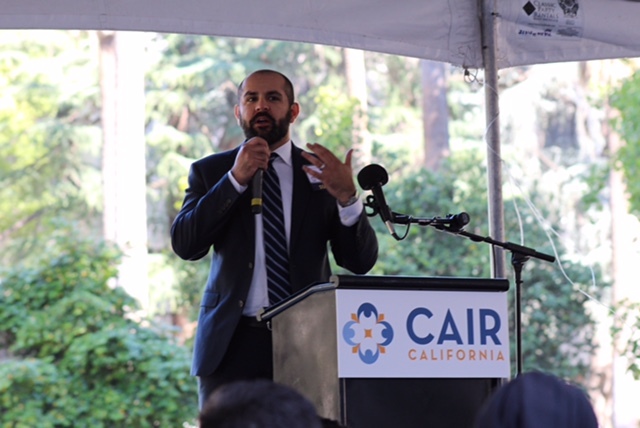 Haroon Manjlai, the Public Affairs Manager at CAIR-LA (Council on American-Islamic Relations), speaks at the 5th annual Muslim Day at the State Capitol. Note: The original photo had the opposite problem of the crane, overexposure. The unedited photo was posted due to miscommunication. Regardless, this photo tells the story of a runner who pushed too hard and fainted at the finish line. The support shown by her teammates spoke louder than an article could. Senior Sofia Castiglioni (left) and junior Olivia O’Keeffe (right) support senior Abbey Fisk (center) after dominating the demanding 5,000 meter course. Note: A key part of my story on the 2016 San Francisco Gay Pride Festival was the extra security measures. I took this photo of police officers to show how seriously they were taking potential threats. San Francisco police officers take a break from crowd control.